FIVE FINGER DEATH PUNCH recently received the prestigious "Soldier Appreciation Award" from The Association of the United States Army. The award was started in 1950 by the then newly founded AUSA. This was based on having Germany- and Europe-stationed U.S. troops that had a hard standing in the public. The soldiers had been under hard pressure and so the AUSA founded the Award to honor the organizations and/or people who supported the troops to make their daily life more easy and comfortable. Comments FIVE FINGER DEATH PUNCH guitarist Zoltan Bathory: "The Soldiers Appreciation Award is something very special. The only musician ever to receive this was Elvis Presley. Clearly what we have to say resonates with a lot of veterans and a lot of service members. To know that we are reaching people and touching their lives with our music is very rewarding, and to me this really is the sole purpose of being a musician — to be able to make a positive impact in somebody's life." 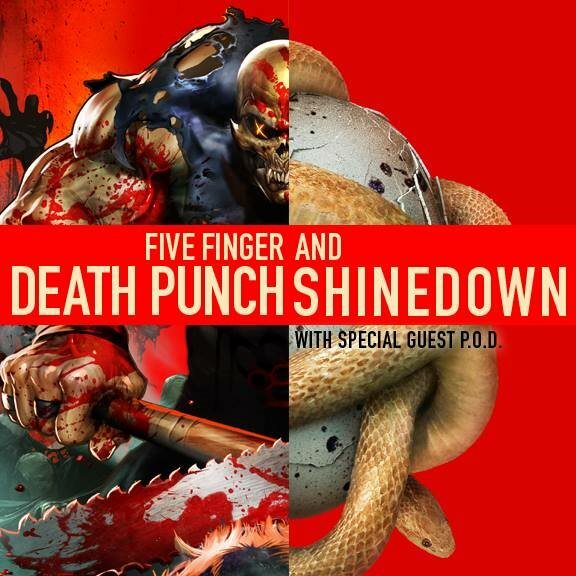 In other news, FIVE FINGER DEATH PUNCH will team up with SHINEDOWN for a series of co-headlining shows this May, in conjunction with all of their performances at the biggest U.S. festivals of the year. Local pre-sales will start Thursday, February 3 at 10 a.m. Eastern. The national public on-sale for the dates with will be Friday, February 4 at 10 a.m. Eastern. For more information and VIP offerings (beginning Tuesday, February 2), go to www.fivefingerdeathpunch.com. 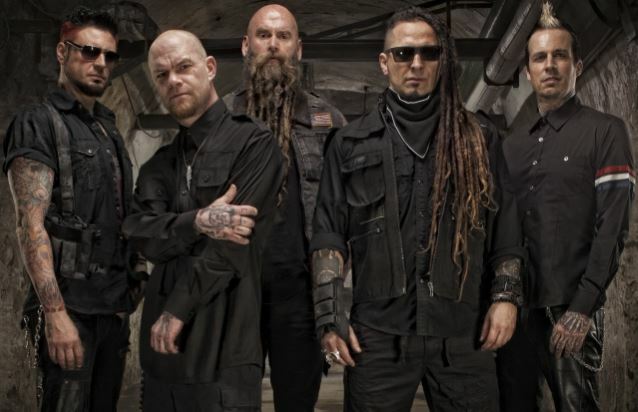 FIVE FINGER DEATH PUNCH's latest album, "Got Your Six", entered the Billboard 200 album chart at No. 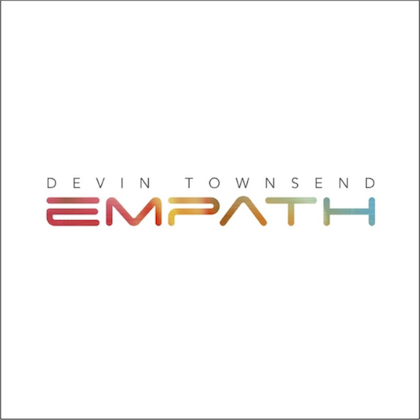 2, selling 119,000 copies in its first week of release. This was the band's third straight No. 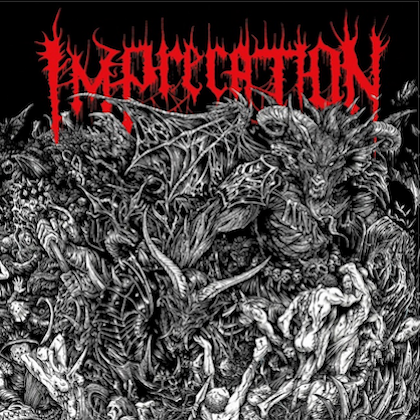 2 debut, following both volumes of "The Wrong Side Of Heaven And The Righteous Side Of Hell" in 2013. "Got Your Six", however, did rack up the band's best single sales week ever, surpassing the 112,000 copies sold of "The Wrong Side Of Heaven And The Righteous Side Of Hell, Volume 1", in its first week. FIVE FINGER DEATH PUNCH's video for the song "Wash It All Away" was shot by acclaimed music video director Wayne Isham (METALLICA, PANTERA, GODSMACK, DEF LEPPARD, BON JOVI, AVENGED SEVENFOLD). The clip was filmed at the band's headlining show at Mohegan Sun Arena in Uncasville, Connecticut and showcases their highly visual stage show and the contagious energy that fuels the thousands of rabid fans in attendance.